As in any city that I visit, once explored the streets, I have a great wish to see the place from above. Nothing feels better than being above the crowd, the busy streets and just enjoying the view. For me it’s the ultimate relaxation method while on the road. Luckily many cities have at least one fairly good viewing point which I make sure I never miss. 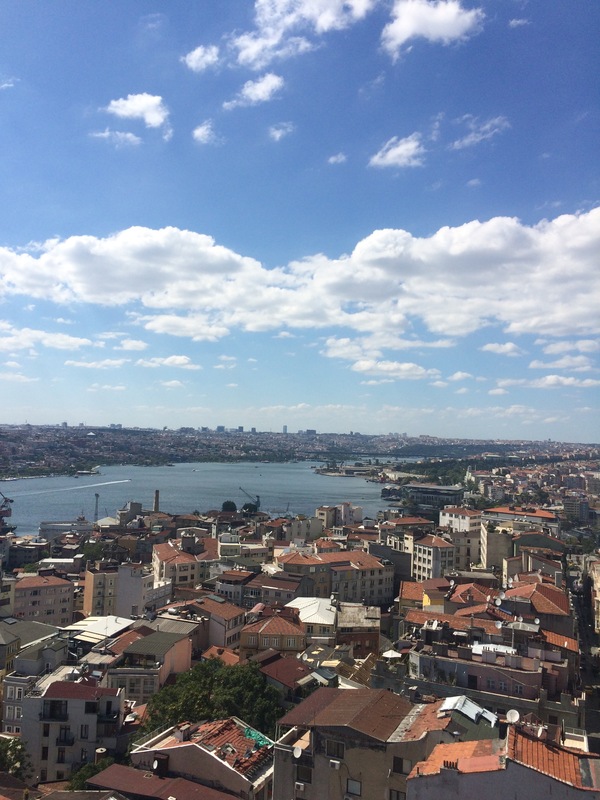 In Istanbul I discovered quite a few, thanks to the popular roof top terraces, but I’ll point out two dear ones. 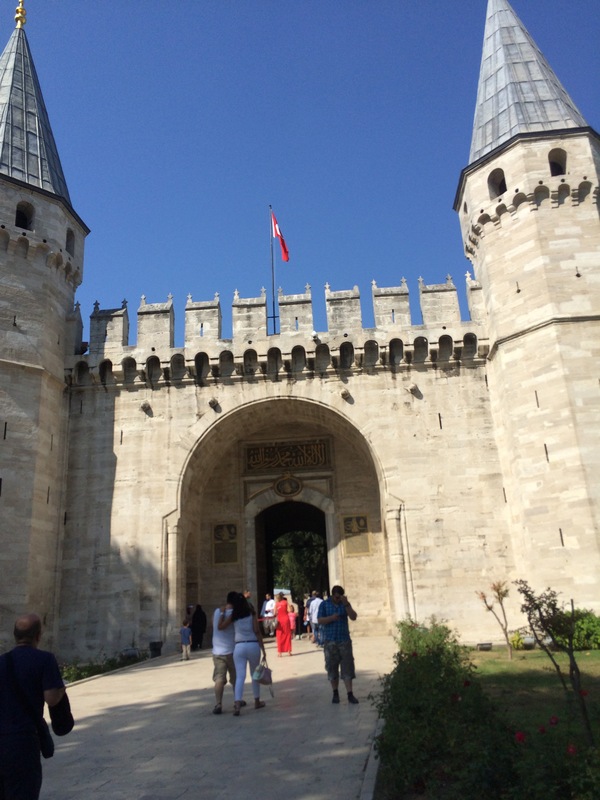 Number one is Pierre Loti. It’s my personal favorite mainly because it’s in a natural setting, not a building or a comercialised roof top terrace. 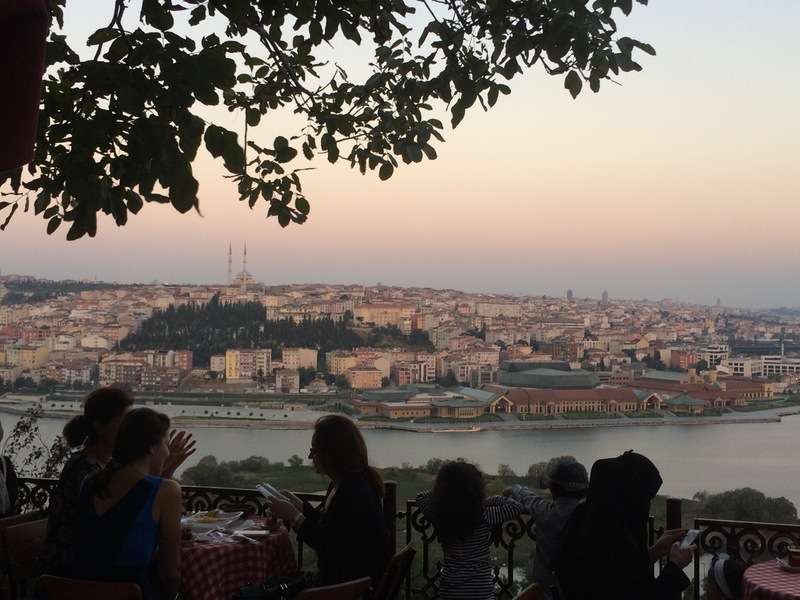 Yea, I know I did mention earlier those rooftop terraces too, they are great for a chill out evening and a glass of wine, but Pierre Loti was more than that for me. Let me start first of all with the way I got there. 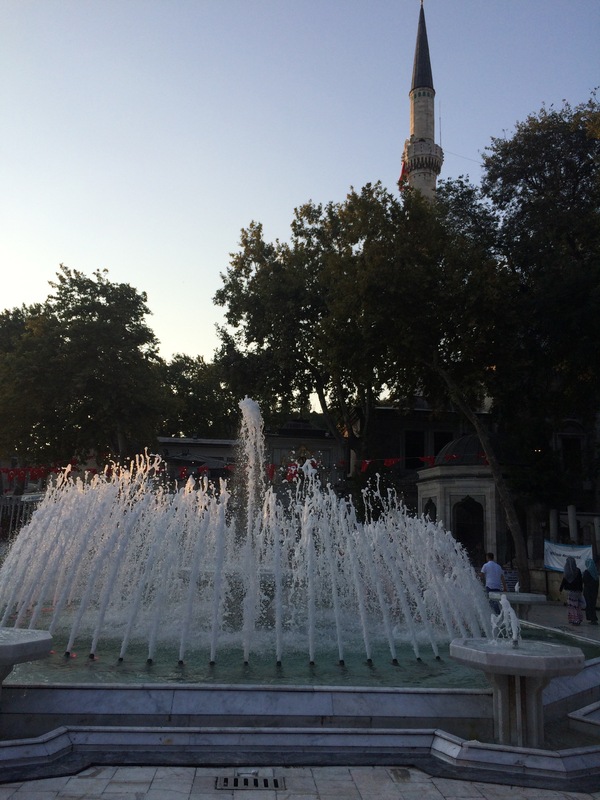 It’s located on a hill in the district called Eyüp, in my eyes the real side of Istanbul, where people hang their washed clothes out on the windows, kids run around barefoot and the place where I spotted more Muslims in one place than anywhere else in the city. 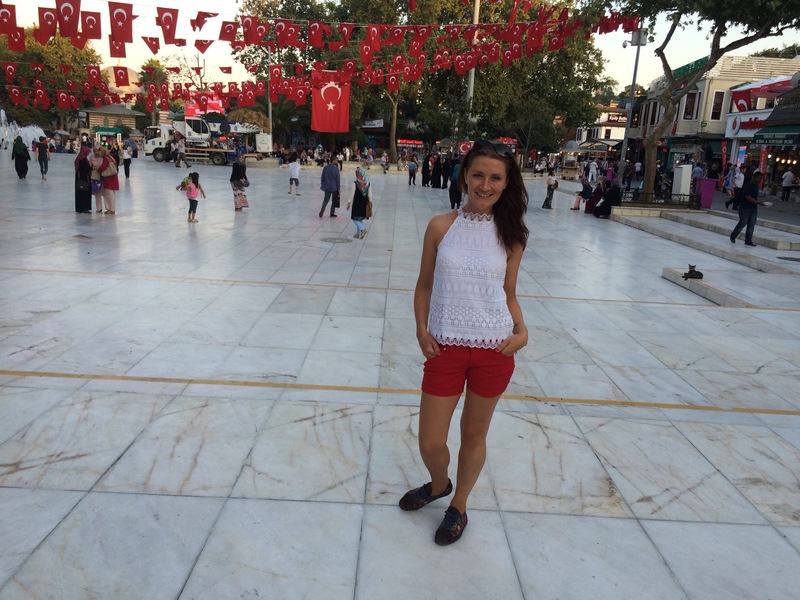 However, it’s a cultural discovery to walk towards the viewing spot and it was a real interesting experience to observ the differences between Eyüp and the rest of the city, while walking by a nice square and also a market. 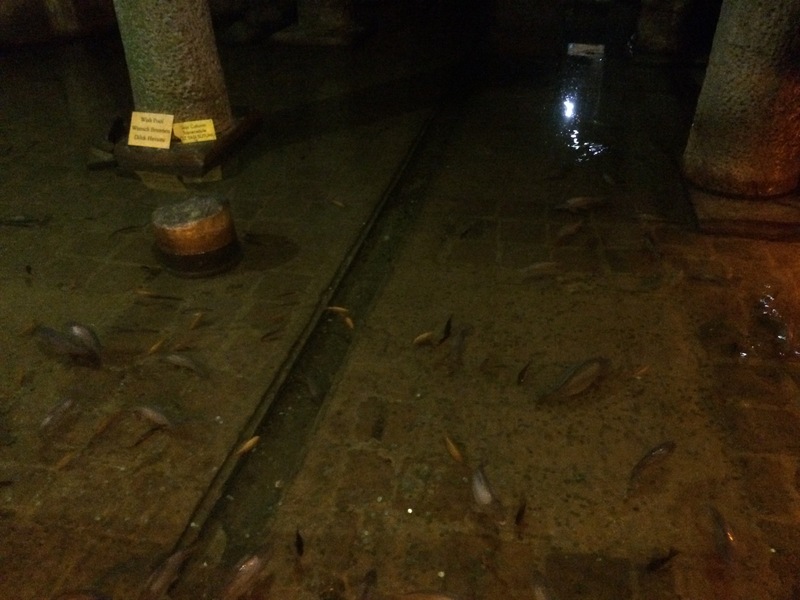 Further it will get even more exciting cause you gonna pass through a cemetery in case you decide walking all the way. 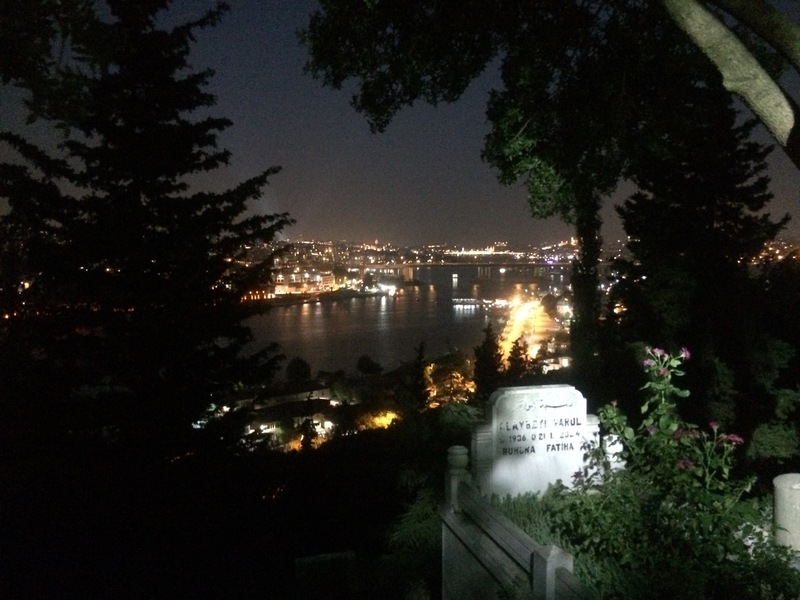 For those that find this too spooky , there’s also a cable car, which will make life easier if you are not in the mood for a walk between the graves. Once reached the viewing point the view speaks for itself, or maybe rather leaves you speechless. 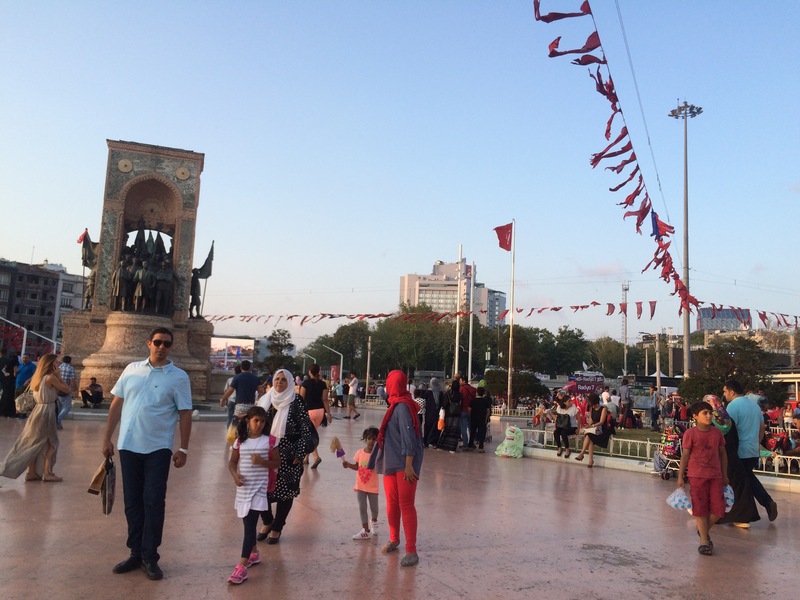 At the conveniently located cafe there’s a big variety of beverages and the everywhere present, most popular Turkish caffe. Who wouldn’t enjoy having a sip with such a view? 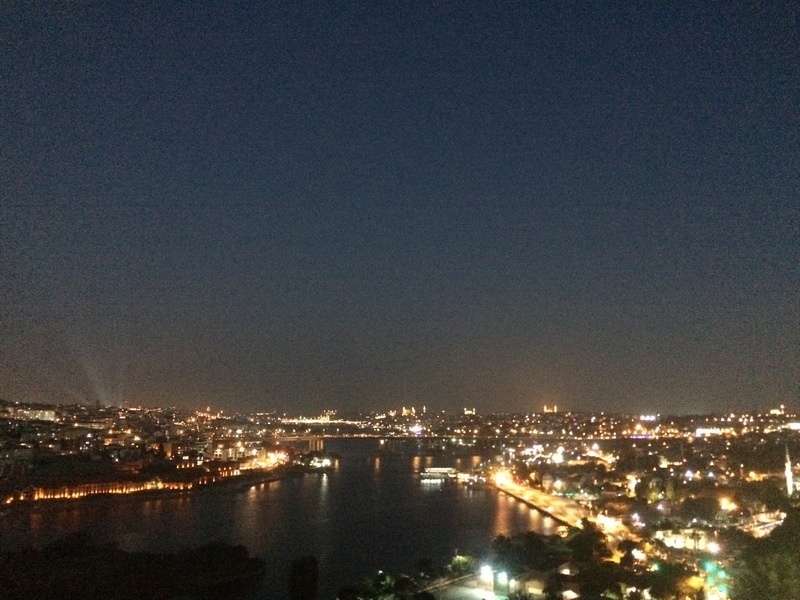 In front of my eyes the sun went down and the lights of the city turned on one by one in the darkness that fell on the busy and vibrant Istanbul. I think I could have spent the entire night admiring this panorama. But as all the nice moments quickly come to an end, it’s time to walk down and go back to real life. Still, the view catches my eyes once in a while and looks great even if there’s a grave in the first plan of the photo. 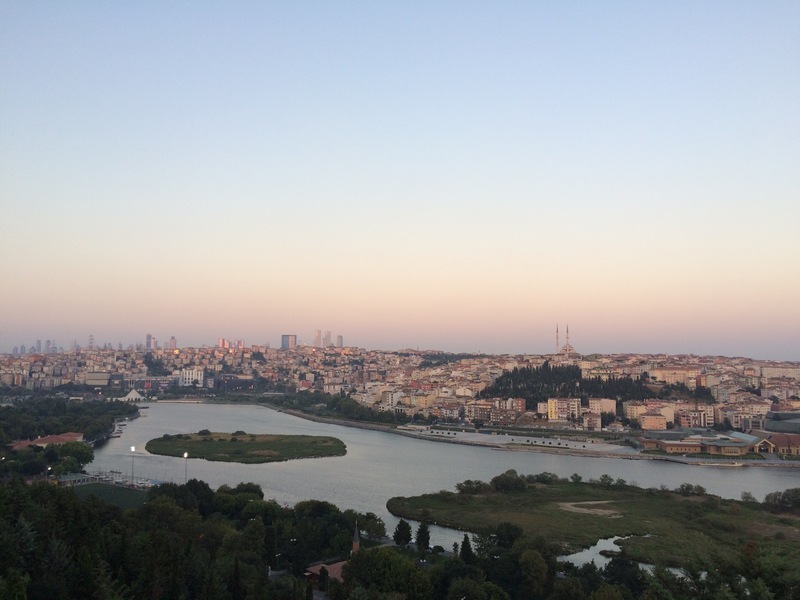 My conclusion : Pierre Loti a must-see spot, perfect for watching the sunset. 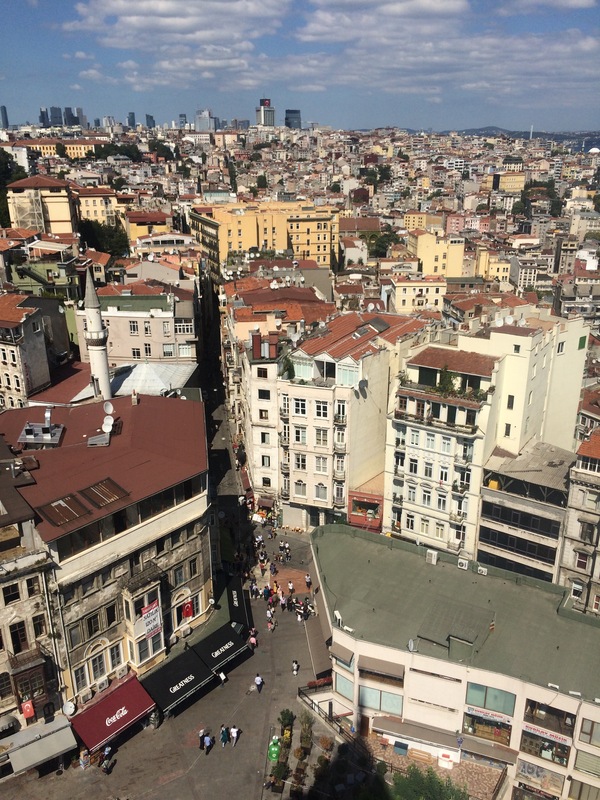 My number two favorite viewing point is the more touristy, but yet unique Galata Tower. 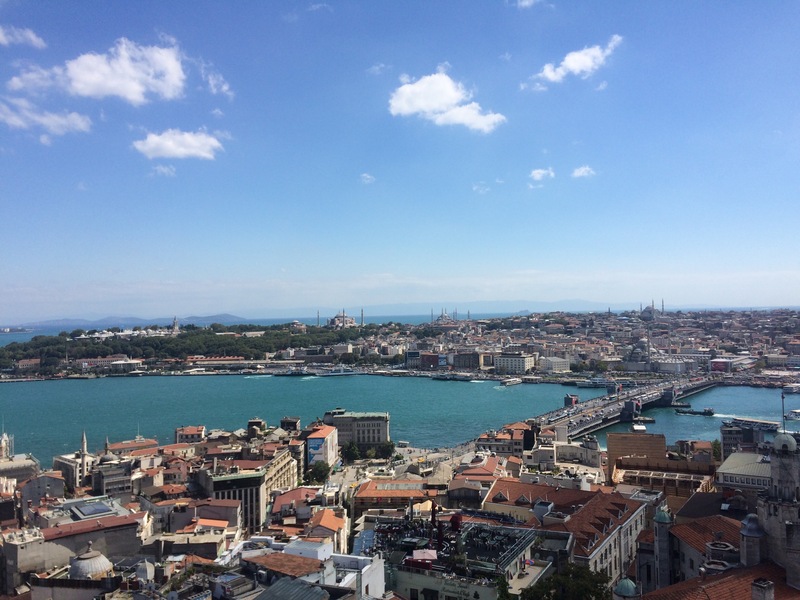 As I’ve already seen Istanbul from above in the evening, my visit to Galata Tower on purpose happened around midday on a sunny day, when the water of Bosphorus is reflecting the lovely blue sky and the view is refreshing and mood boosting. 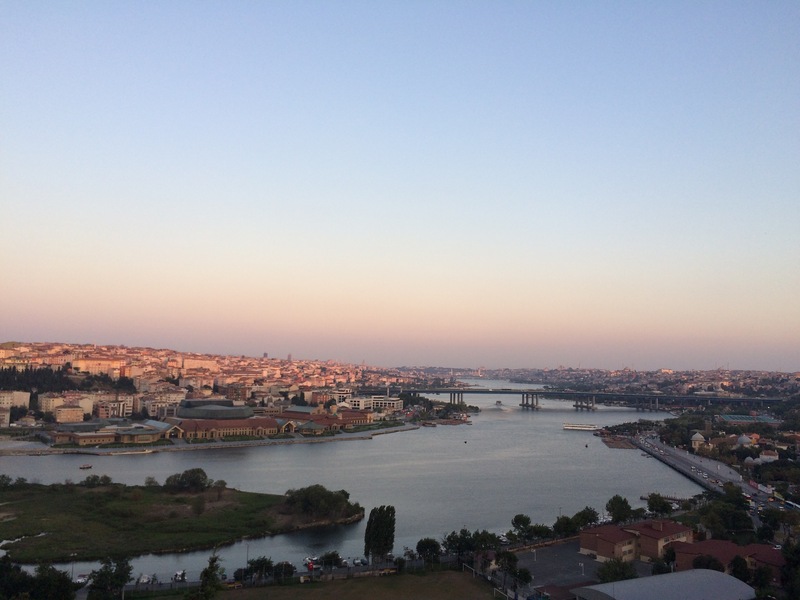 That being said, if you made it by here I’m assuming you liked watching Istanbul from above together with me. Also, if you know about another great viewing point in this city or any other, I would be happy to hear about it. 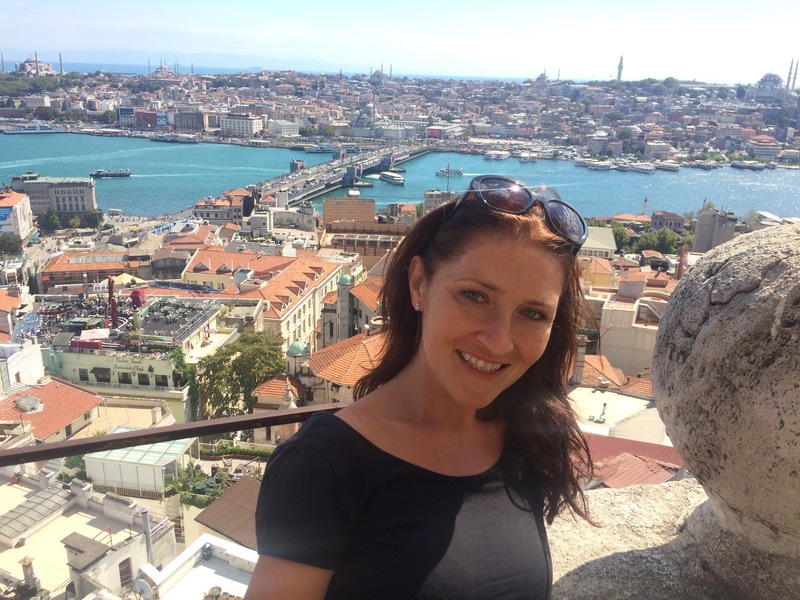 Relax, it feels safe in Istanbul! 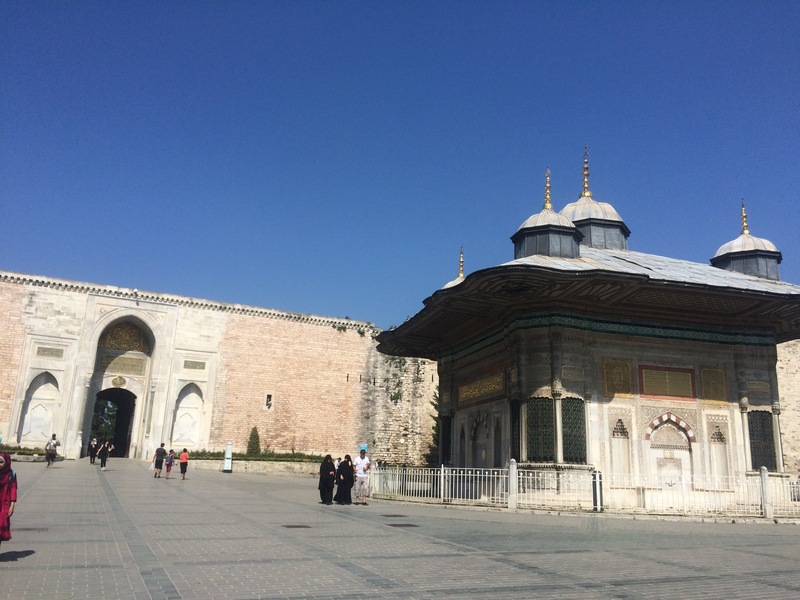 Due to unexpected and surprising, but pleasant ways of life, I found myself in Istanbul in a period when everybody is avoiding approaching Turkey. Here I am for 3 weeks, right after some bombings, attacks and other scary events and believe it or not I find it safe and exciting. Well, the more than one hour waiting time in the line ( what line? ) , sorry, I meant chaotic crowd, at the arrival wasn’t very exciting at the airport, especially felling your comfort zone being invaded from every possible side. 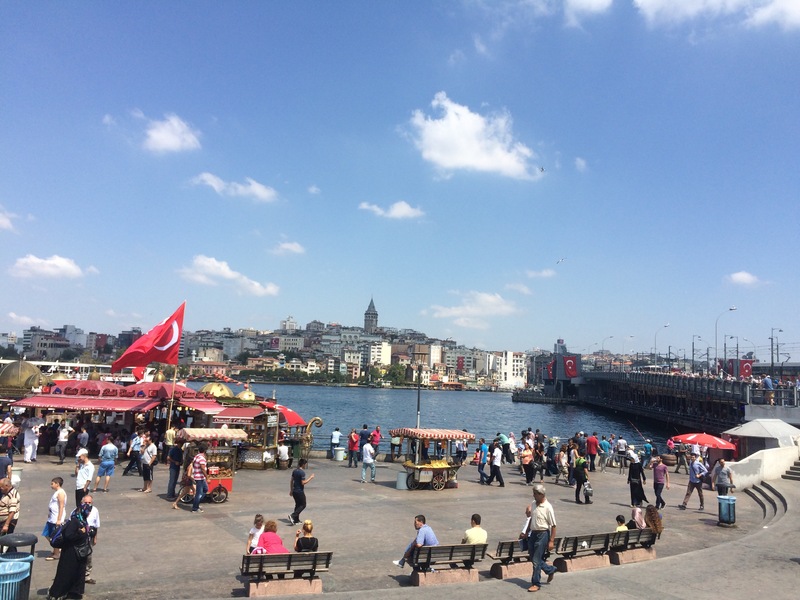 Skipping that part and ignoring the usual issue of this city: crazy, really crazy traffic – Istanbul has a great vibe! 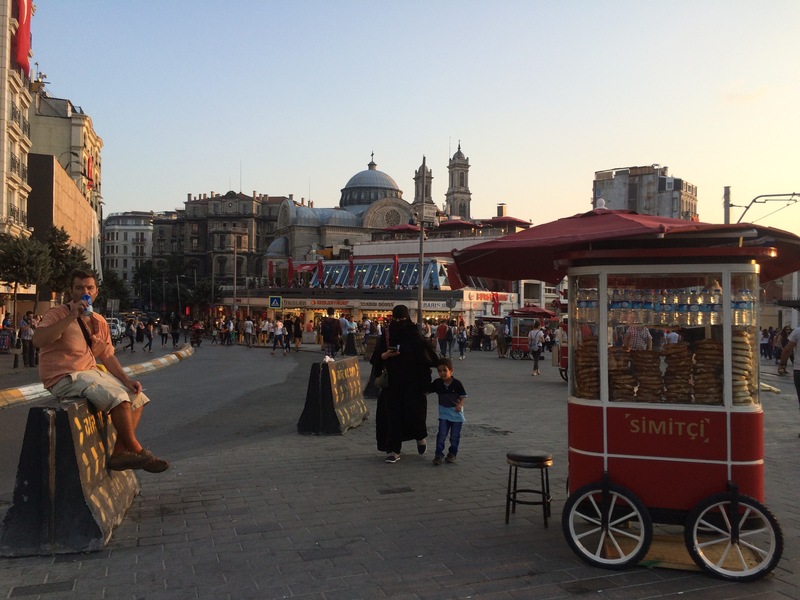 Taksim square at any time of the day or night remains the central point of entertainment. 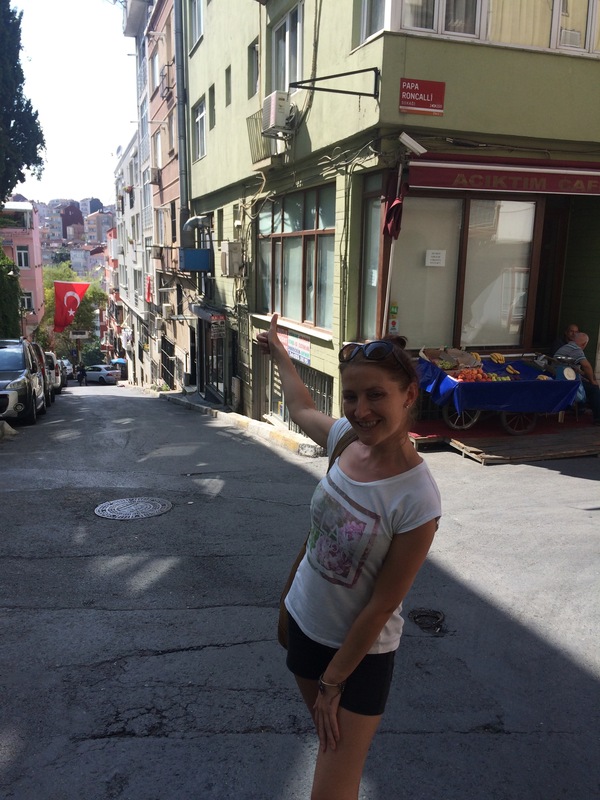 Obviously if I made my way until Taksim square I wasn’t going to miss taking the funicular along Istiklal avenue. 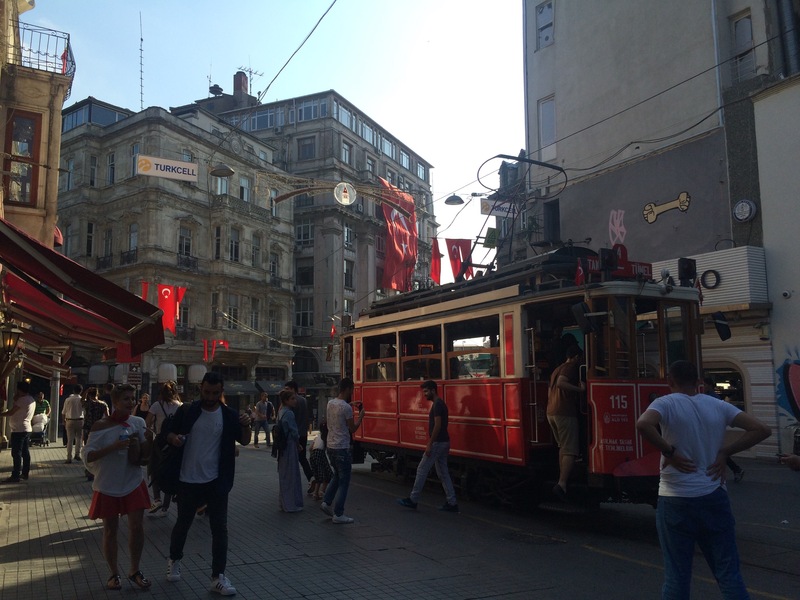 Istiklal avenue had everything that I could wish for: shops, restaurants, beauty salons, bars and a few really good cafes. 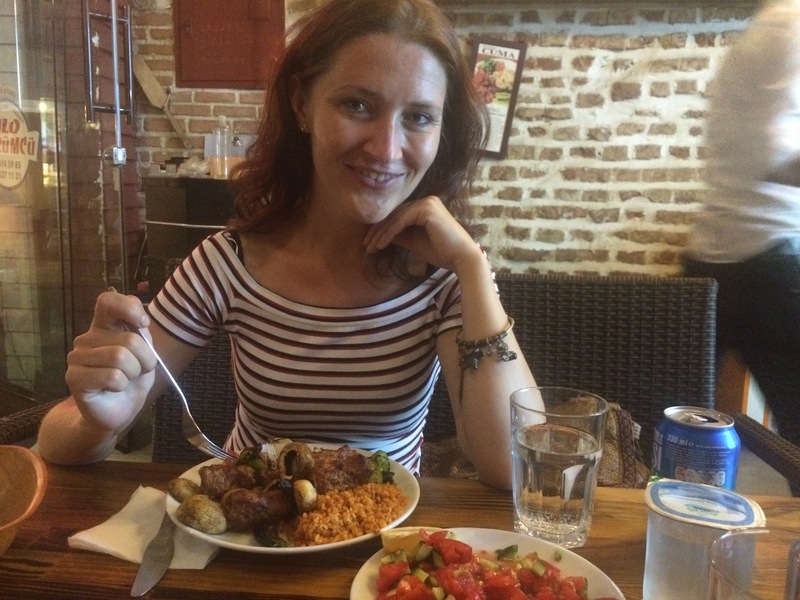 Turkish people are good at many things, but what I certainly appreciate the most is their skill of preparing really delicious sweets . Sometimes delicious is not enough for them and then they make it also impressive. How? 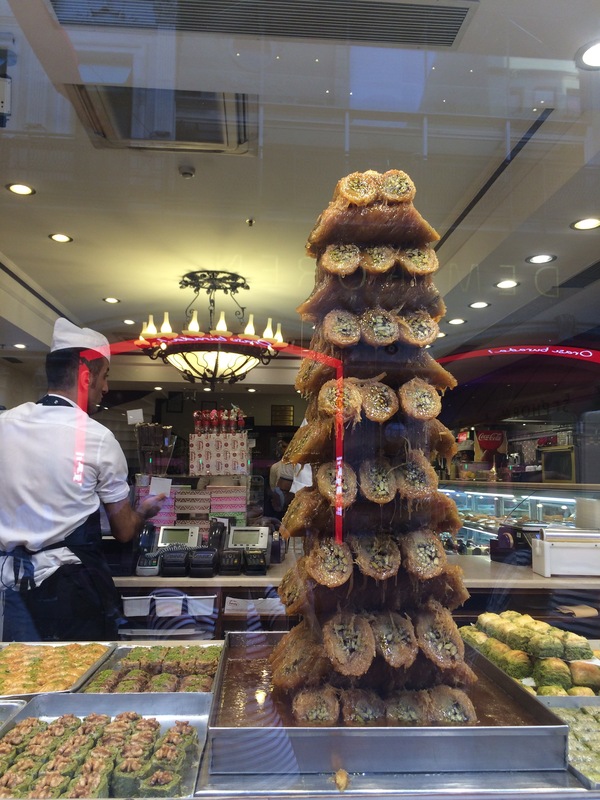 For instance with this enormous tower of sugar, honey and others they managed to attract quite a few customers, at least until the window to take a photo. The big variety of baklava certainly distracts, but it does worth giving a chance also for the local cuisine, which never dissapoints either . 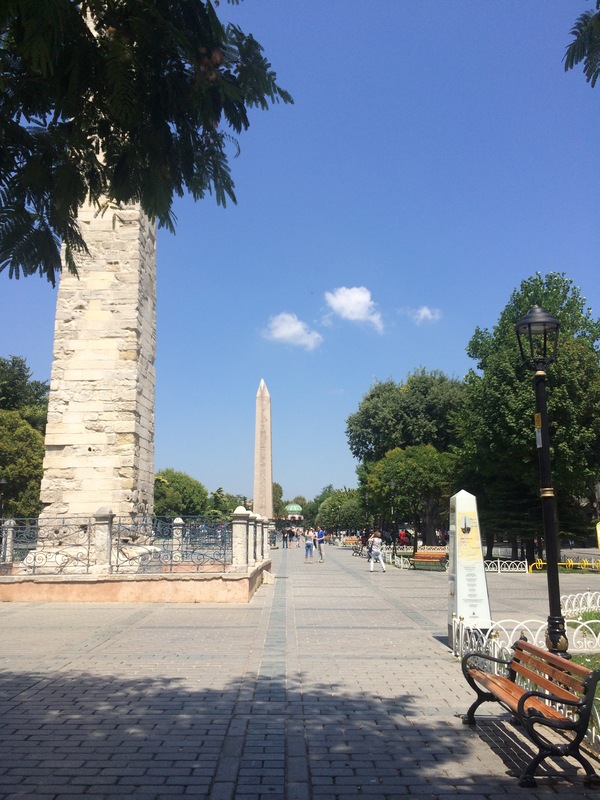 With full stomach of Turkish food and delights I’m feeling pumped to make the most of my free days in this awesome city full of varieties. 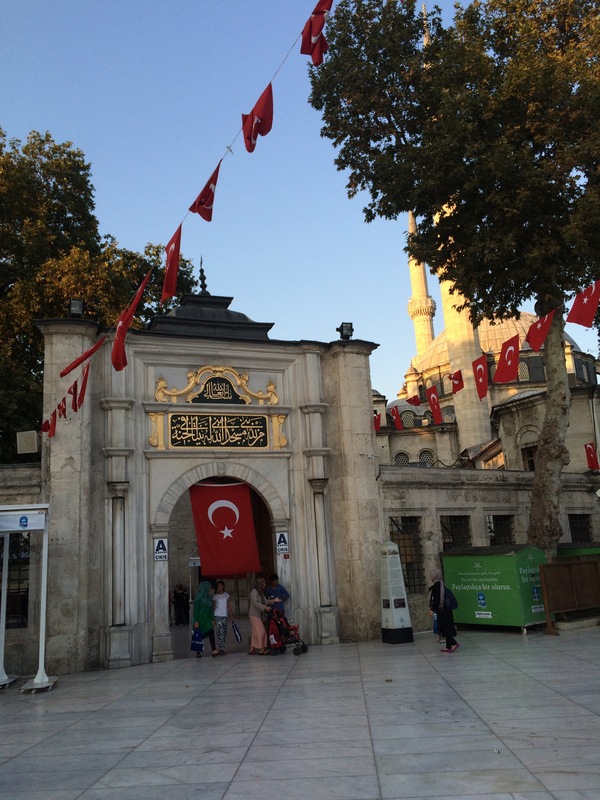 Not that much interested in the touristy spots, but at least from outside it does worth checking out the Blue Mosque and the Galata tower. 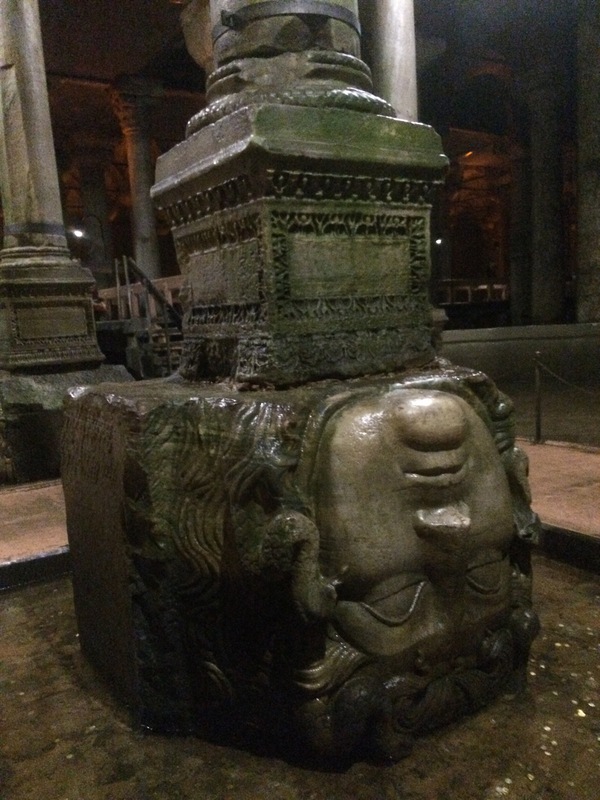 Some other worth seeing spots are around the two above mentioned ones and with the small number of tourists in no time I checked them out too. 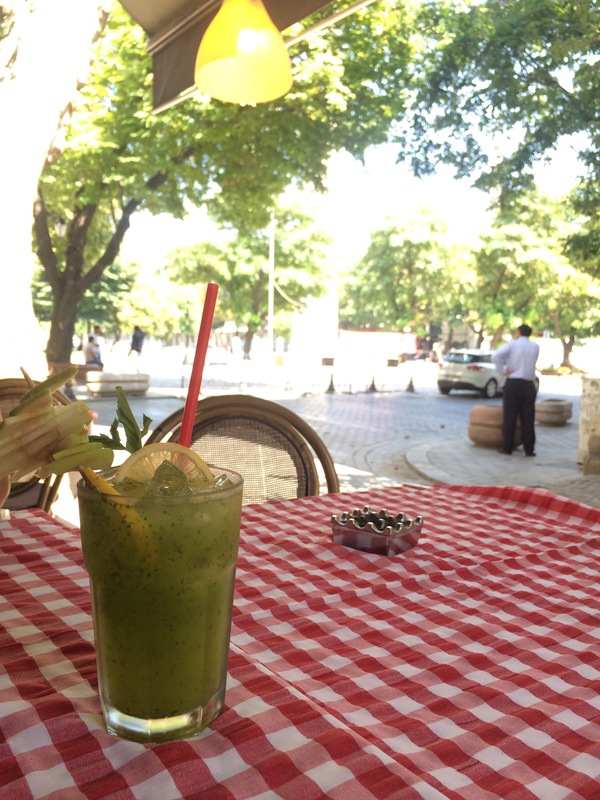 While sipping a refreshing home made lemonade at a nearly empty terrace near the Blue Mosque , the waiter tells me how on a regular Sunday like this I wouldn’t be able to find a table. Now it’s different though…The number of visitors dropped so much that the staff are bored during the working hours…On the other hand the degrees didn’t drop at all, instead kept increasing, so actually I’m quite glad I have a spot with my lemonade. 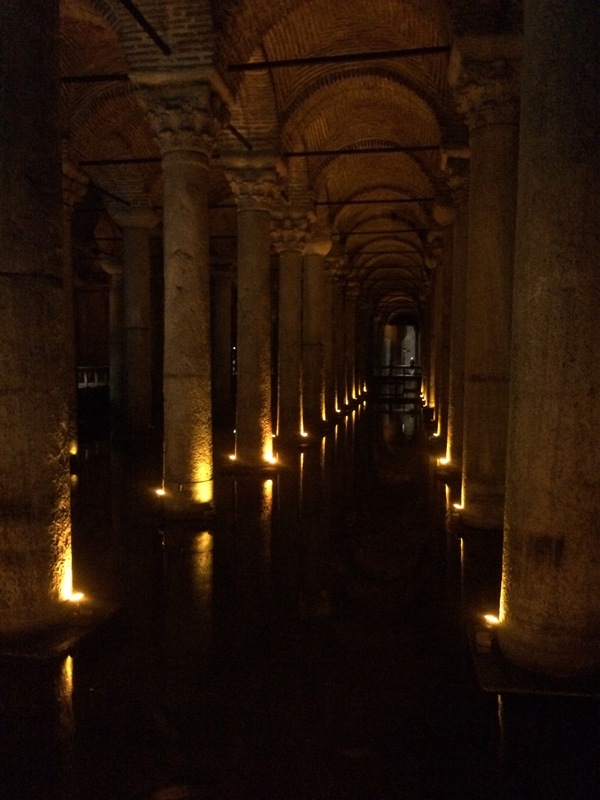 All energized I’m hitting the road, not too far I bump into the Basilica Cistern. In order to make it all complete a bazar must be included too . 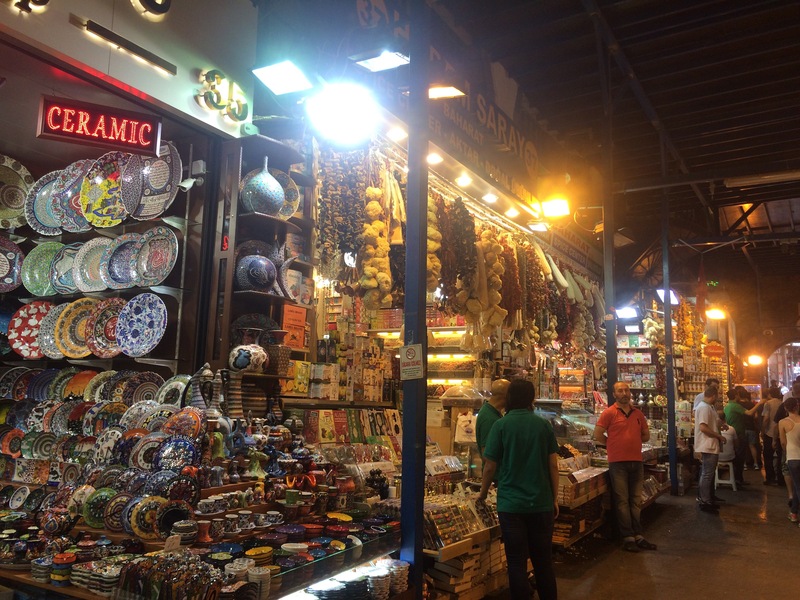 I head to the spice bazar at the suggestion of my just met American mate , not that much cause I want to buy any special spices, but more for the experience. 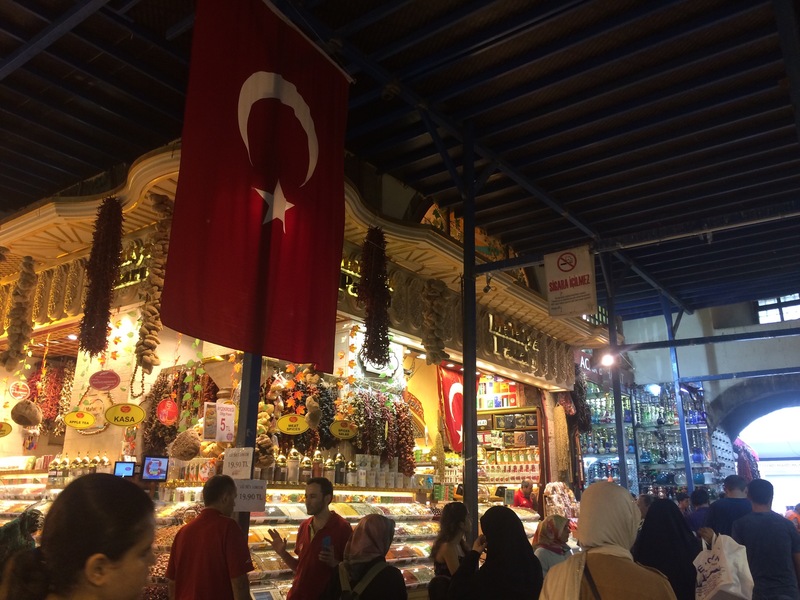 We get to discover that the spice bazar is actually a kind of bazar of everything: soaps, towels, sweets, teas and of course spices too. In case you didn’t know what a great advertising are Turkish sellers able to improvise , at a bazar you will certainly notice. 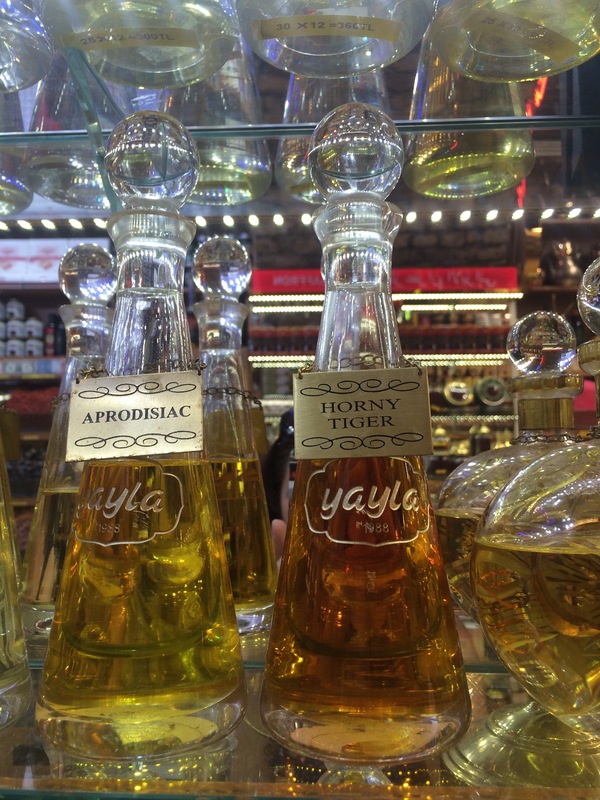 “Everything is the best quality, the most intense and long lasting perfume, at the best price and just for you with a semnificative discount . If you have any doubts you can try it: have a bite of the baklava, a sip of the tea.” Still not convinced ? Maybe the names will make it easier. Lacking some love? At every stand you will find some love tea. Feeling weak today? Red bull tea for you. Having a boyfriend with issues? Hopefully one of these two will solve the problem! We didn’t purchase anything, but had heaps of fun! 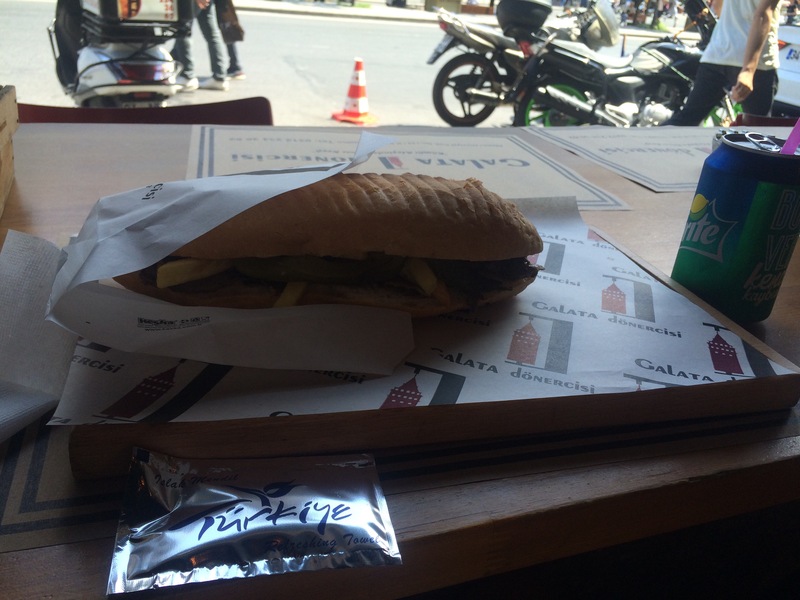 “Bazaring” it’s cool and Turkey, you rule!